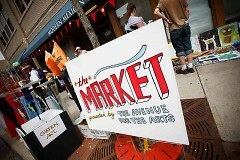 For 2014, The Market returns as a First Friday event. On June 6th and August 1st, South Division will once again become a lively center for art, music, and culture. 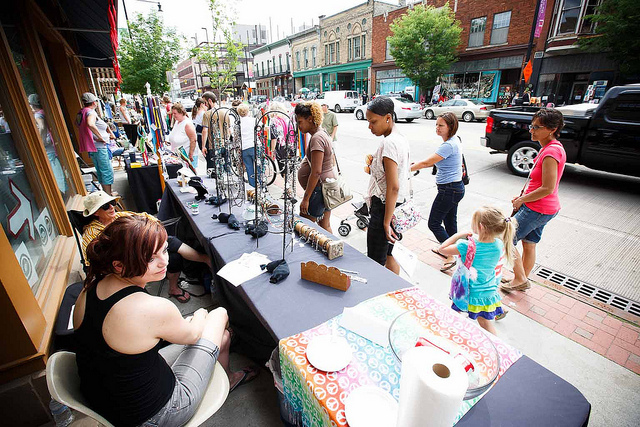 In addition to a gallery and shop hop that exhibits artwork at a variety of indoor sites, the sidewalks will be flooded with artist vendors, performances, and entertainment all along South Division between Fulton and Cherry. 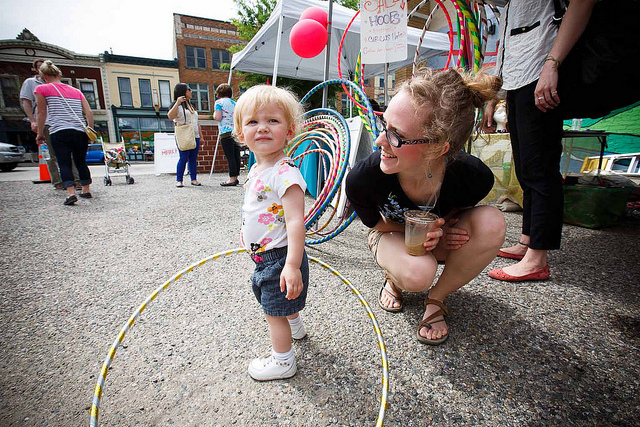 Since fall 2013, First Fridays has offered a unique opportunity to check out the shops, galleries, and eateries along the rapidly evolving South Division Corridor. First Friday events include drink specials, exhibition receptions, sales, and featured artwork. Both downtown residents and art supporters from surrounding neighborhoods come together to view local art and experience culture on the first friday of every month. This event strengthens the commerce and community in Grand Rapids by attracting artists and art enthusiasts from all over the city. 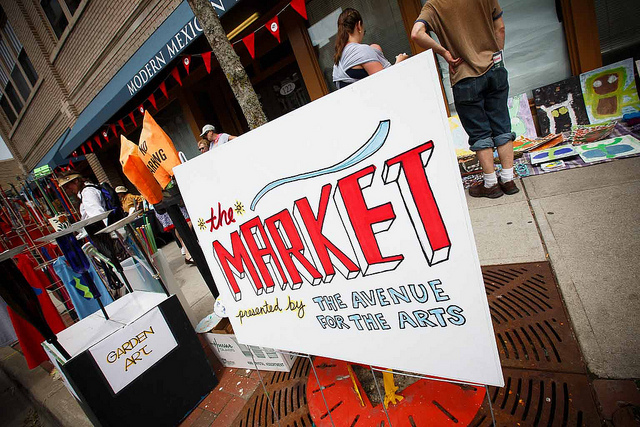 The Market has a long history of being a spirited, street market style event that features the work of local artists, musicians, and artisans, showcasing a wide selection of tasteful and fun handmade goods by some of Grand Rapids’ most talented creative doers. While First Fridays utilizes the gallery spaces and businesses on South Division, the market features outdoor music performances and street vendors. The result of combining them will be an energetic night thats fun for all ages and completely free. Avenue for the Arts is incredibly grateful to have received grants from Downtown Grand Rapids Inc. and the Michigan Council for Arts and Cultural Affairs. Sponsors make an incredible difference in the outcome of Avenue for the Arts events and their support helps to make each event bigger and better than before.